A round-up of significant news and events at Rajan Eye Care, that bring you first-hand insights into our world. NARI SHAKTI PURUSKAR AWARD – a Highest Civilian Award to Dr SUJATHA MOHAN, Executive Medical Director, Rajan Eye Care Hospital. Instituted in 1996, Chennai Vision Charitable Trust (CVCT) is the philanthropic arm of Rajan Eye Care Hospital, engaged in providing Ophthalmic Services for eradicating curable blindness in this part of the country. Being a not-for-profit enterprise, CVCT has been providing comprehensive eye care for different eye ailments for those living in the marginalized section of the society. CVCT is engaged in providing tertiary eye care while conducting rural outreach program covering a radius of 150 kms in and around Chennai. Till date CVCT has performed more than 3500 eye screening camps, 10,00,000 free patients screenings, 1,10,000 free cataract surgeries with Intraocular lens implantation and distributed more than 3,40,000 free spectacles and medicines. Through Rotary Rajan Eye Bank a project of Rotary Club of Madras T.Nagar, RI District 3232, till date we have performed more than 7000 corneal transplant surgeries free of cost. Nethra Vahana is a state-of-the-art Van equipped with latest eye care diagnostic and treatment facilities, which includes sophisticated examination Chair unit, Fundus Fluorescein Angiography, Retina Laser, Yag Laser, Auto-Refractive unit and a full-fledged optical unit. 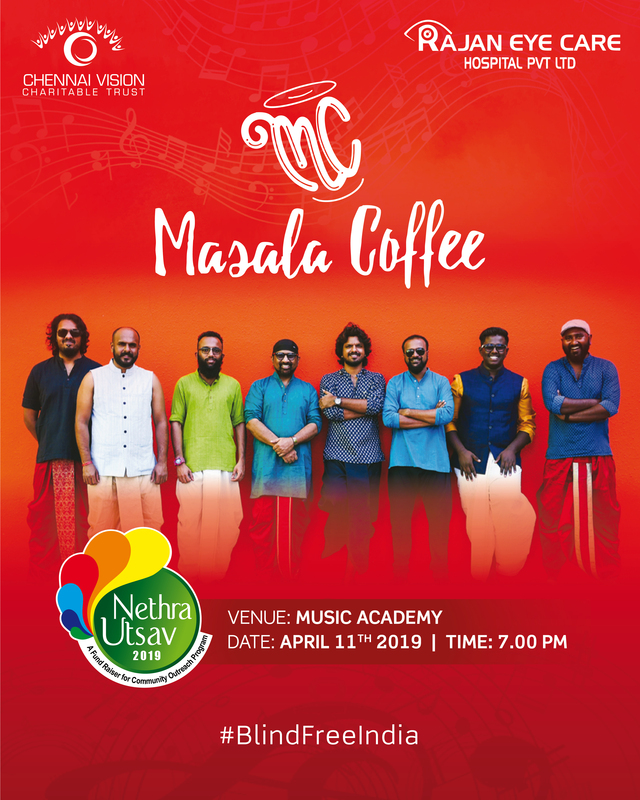 Nethra Vahana is used extensively for conducting outreach programs throughout the year. Through this project thousands of people are benefitted in the villages in and around Chennai, Districts covering remote villages like Tiruvallur, Kanchipuram, Vellore, Tiruvannamalai and Villupuram and villages in 3 districts of Andhra Pradesh bordering Tamilnadu. Dr. Sujatha Mohan is the Executive Medical Director, at the Rajan Eye Care Hospital Pvt. Ltd where one is assured of comprehensive eye care. Her contribution has been immense in eradicating preventable Blindness in this part of the country. Her main motive is to provide at least the basic minimum eye service to the rural and poor population in Chennai and its adjoining Districts. Nari Shakti Puruskar (formally Stree Shakti Puruskar) (Women Power Award) is the highest civilian honour for women in Republic of India. It is awarded by the Government of India, every year on International Women’s Day. The significance of the International Women’s Day lies in our re-affirmation of improve the condition of women, especially those at the margins of our society and empower them to take rightful place in society. The awards will be conferred on 8th March on the occasion of International Women’s Day. The Award in each category shall carry a Certificate and a cash amount. The award would be given to eminent or outstanding Institutions or organizations and individuals. 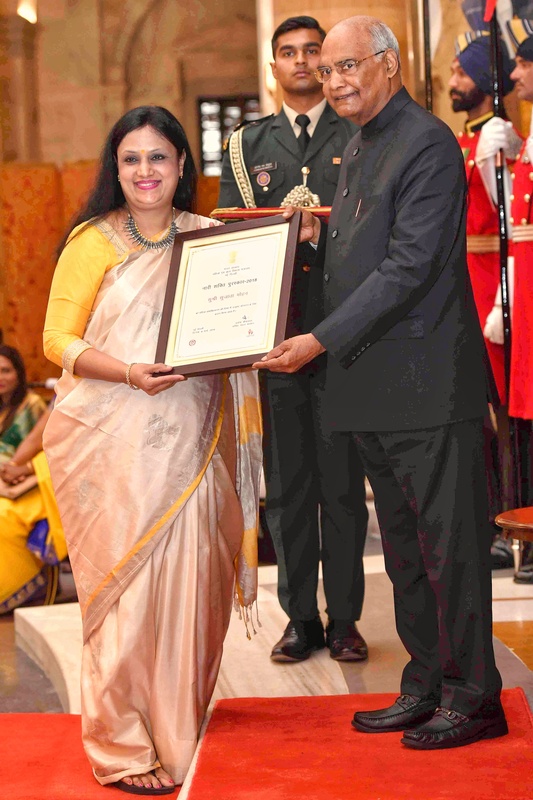 Dr Sujatha Mohan, Executive Medical Director, Rajan Eye Care Hospital, received the Highest Civilian Award Nari Shakti Puruskar from the Hon’ble President of India Shri. Ram Nath Kovind on 8th March 2019, International Women’s Day at Rashtrapati Bhavan, New Delhi.